Trainer Chris Munce has elected to target tomorrow’s Metropolitan meeting at the Gold Coast instead of Gatton for stable speedster ZEGOTA, who lines up in the Class 3 Handicap over 900m. ZEGOTA has won two of her three starts in her first preparation for the Munce stable and heads into the race looking to improve on a fourth placing in an Ipswich Class 3 on June 29, where she finished 4.5 lengths from winner DESERT COWBOY, who subsequently finished third in Saturday Metropolitan grade. The All Too Hard filly was a dual acceptor for both the Gold Coast and Gatton on Thursday, but Munce said a better barrier draw and weight at the Gold Coast made it the preferred option. "I did have her in a Benchmark 55 for Fillies and Mares at Gatton but she was allotted 62.5kg and I didn’t really think that was fair for her to carry around Gatton,” said Munce. "So we’ve gone for a harder race at the Gold Coast but being a small field, and the fact she’s drawn well and is better treated at the weights, I think she’s certainly going to be more than competitive. "Even though we are back to the 900m I expect her to be very hard to beat with good sustained speed from the barrier. "She’s freshened up nicely, I haven’t done a lot with her (since last start) but she looks beautiful in her coat." 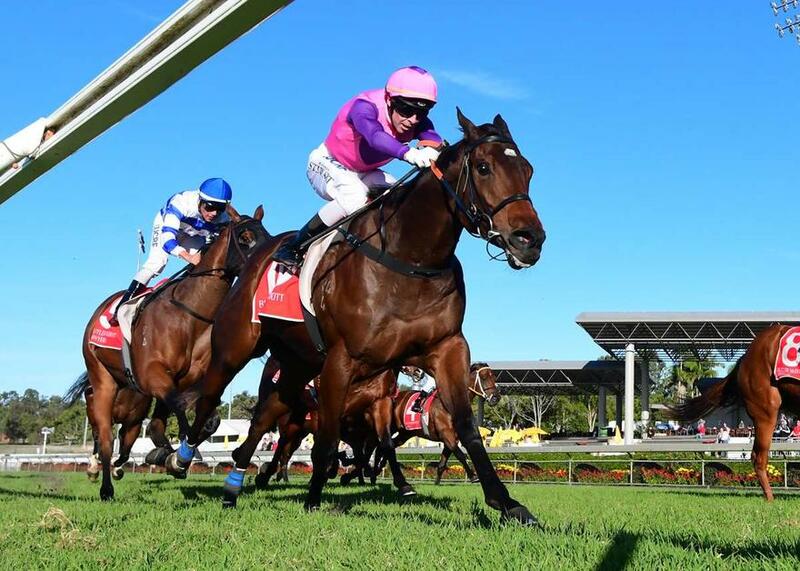 The stable is hoping it can carry on last week’s winning form that saw FIRST CRUSH take out the feature Grafton Cup and SATYRICON break her maiden at Ipswich at last week’s midweek Metropolitan meeting.